With 178 drug manufacturers in total, Vietnam Pharmaceutical products mostly focus on simple dosage forms and generic forms which are substantially lower in prices but lack of effective drugs with complicated preparation. Vietnam Pharmaceutical industry has approximately 60,000 ton of herbal medicine in circulation, however, 80% – 90% of which are imported from foreign countries. In particular, China and India are two countries with highest medicine export turnover to Vietnam, accounting for 58.8% and 15.5% respectively in 2015. Apart from that, applications of innovative technologies on medical processes meet with difficulties. The ratio of research and development expense to revenue of domestic companies is just about 5% while that of foreign counterparts is 15%. In 2015, as VIRAC estimated, Pharmaceutical industry value is expected to reach USD 4.2 billion and healthcare spending per capita is US 38. In the near future, the prescription drugs’ market are forecasted to dramatically outstrip OTC in the growth rate due to appearances of expensive patented products and the increasing demand of high-quality and specific remedies. 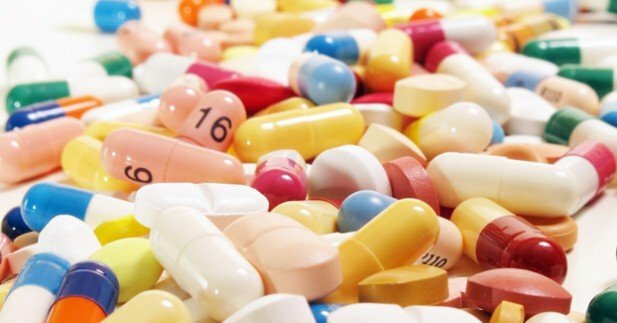 Vietnam Pharmaceutical Industry is forecasted to continue the double – digit growth compared with the current value growth but slightly tend to slow down. Besides, with compromising WTO agendas, Vietnamese enterprises confront with higher level of competing from foreign companies because of omitting protective policies by government, especially, this is the main driving force of the industry. Most of enterprises of pharmaceutical industry maintained positive operation with high levels of gross profit and net profit in the period 2014 – 2015. Taking advantages of large-scale capitals, Traphaco and Hau Giang Pharmacy are reconstructing the retailing system, lower the expense portion to optimize profits and simultaneously improve OTC channels.